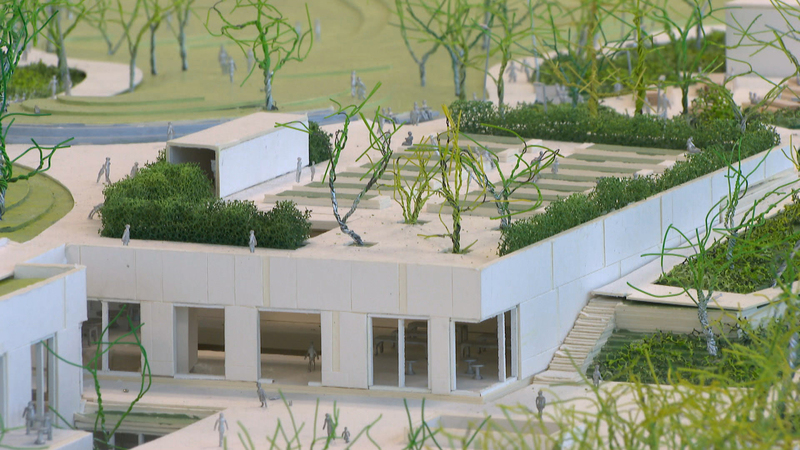 CHICAGO (AP) — The city of Chicago made its first full-throated response last week to a lawsuit seeking to stop construction of the Obama Presidential Center, saying the buildings would sit on land that wasn't subject to restrictive public-trust laws. City attorneys made those and other legal arguments in a federal court motion to dismiss a May lawsuit filed by an environmental group opposed to the project in Chicago's historic Jackson Park, chosen as the site for the $500 million presidential museum and library by former President Barack Obama and former first lady Michelle Obama. The filing asking Judge John Robert Blakey to toss the suit highlights City Council and state legislative approval for the complex it said will foster economic development on the city's South Side, upgrade the parkland and tell "the story of our Nation's first African-American President." It's slated to open in 2021. Protect Our Parks contends in its complaint that the land was once under Lake Michigan water, putting it in the public trust under court precedent and extending additional protections. The city's filing argues that's historically inaccurate and that while nearby areas were submerged, the Obama Presidential Center site was not. The center has widespread backing in Chicago, where Obama began his political career. But lakefront projects over the decades have always prompted fierce resistance in some quarters. A similar suit helped scuttle "Star Wars" creator George Lucas' plans for a Chicago museum in 2016. Disputes derive, in part, from an 1892 Supreme Court ruling in Illinois Central Railroad v. Illinois that helped establish the public trust doctrine. It held that submerged — or in some contexts formerly submerged land — is in the public trust, so can't be transferred to private owners — unless granting the land's use expands public benefits. The city also noted that the physical center won't be a private entity upon completion. While the private Obama Foundation will pay costs of construction and maintenance, ownership of the buildings will be given to the city at no cost. Among the other arguments by center opponents, construction would "deface" Jackson Park and would disrupt a bird habitat. They also worry Barack Obama will use the center "to continue his political activities by raising money for the Democrat Party" and "speaking out on controversial partisan political issues." Blakey said in October he didn't want the litigation to drag out, telling attorneys he intended to announce a trial date in December.